Whether or not a limited company is an appropriate payment structure for high-level senior servants is a debate that needs to be had; what should not be up for debate though is the legitimacy of other professionals working in this way, writes Derek Kelly, managing director of the Parasol Group of Companies, which includes ClearSky Accounting, a specialist accountant for contractors. Working via your own Personal Service Company (PSC) is, and should remain, a perfectly legitimate way to manage your business compliantly, provided that the way it is structured works within the strictly drafted tax legislation. Anyone with an entrepreneurial spirit who is willing to strike out on their own deserves to be rewarded for doing so, as it is these people who will drive the recovery in our economy. Those attacking this way of working should remember that small businesses in the UK are the leading creators of both wealth and jobs. In particular, the mainstream media reports into this practice are, in my view, extremely one-sided, overly stressing the point that these individuals are paying less Income Tax and NIC than they should, without mentioning the Corporation Tax and Capital Gains Tax that they and their businesses will be subject to. Nor do these press reports mention the fact that these individuals will not be receiving holiday pay; have no employee rights and are unlikely to be receiving public sector pensions (which some sections of the populous press are so against). Based on this, there is actually an argument that perhaps all senior civil servants should be paid as a limited company, rather than an individual, thus saving the taxpayer a fortune in pension contributions during a time of cuts and austerity. Hard-squeezed public sector employers would also benefit by saving on National Insurance. The Treasury says the payment arrangements for the ‘exposed’ public sector officials will be subject to review. But whatever the outcome for the civil servants in question, this should not be allowed to impact on the rest of the UK’s personal service companies. Only innovation and entrepreneurialism are going to get the country’s economy back on its feet. Are we really going to disadvantage the people who are willing to take a risk and ‘go it alone’, and why hamstring UK PLC by cutting off a cost-effective source of highly skilled labour and talent? 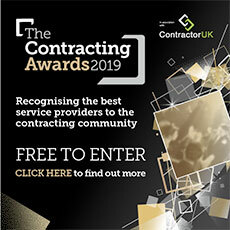 The Freelance and Contractor Services Association, joined by others, is absolutely right; the rhetoric against limited company working should indeed be reined in, before it’s too late.